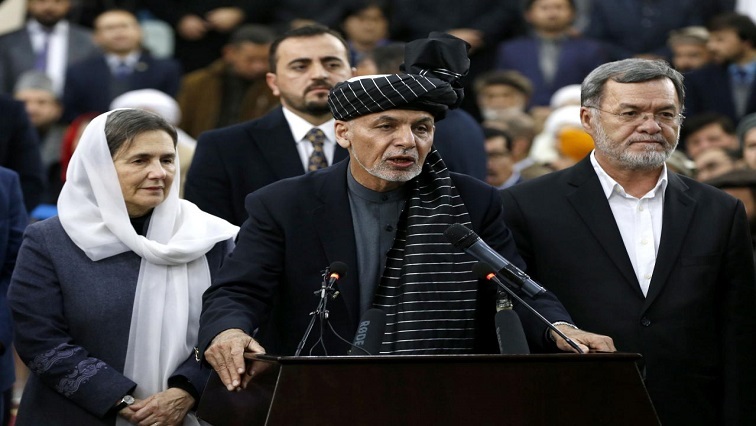 Afghanistan's Ghani launches bid for second presidential term - SABC News - Breaking news, special reports, world, business, sport coverage of all South African current events. Africa's news leader. Afghanistan President Ashraf Ghani on Sunday entered the 2019 presidential race after forging an alliance with a staunch critic to challenge his former governing partners at a time when the Taliban has shut him out of talks to end more than 17 years of war. Ghani, 69, is seeking a second term amid the war with hard line militants and ongoing peace talks between the United States and the Taliban, in which his government complains it has been side-lined. On Sunday Ghani registered as a presidential candidate for the July election, facing competition from his one-time officials who have formed new alliances. Ghani’s critics say the previous presidential election in 2014 was fraught with irregularities, but the American government backed the Western-educated leader to rule the country while Washington wound down the US military presence in favor of an advisory role to Afghan forces in the war. This entry was posted on 20 Jan 2019,03:15PM at 3:15 PM and is filed under World, Homepage Featured Story Slider. You can follow any responses to this entry through the RSS 2.0 feed. Both comments and pings are currently closed.